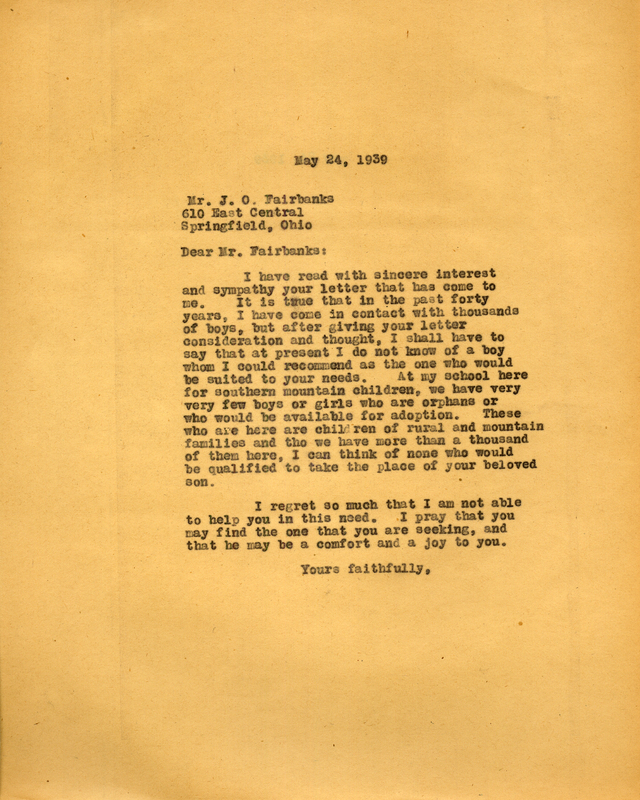 A reply from Martha Berry to Mr. Fairbanks' inquiry in seeing if one of the school's children could be adopted. Miss Martha Berry, “A Letter from Martha Berry to J. O. Fairbanks.” Martha Berry Digital Archive. Eds. Schlitz, Stephanie A., Justin Karch, Jessica Hornbuckle, et al. 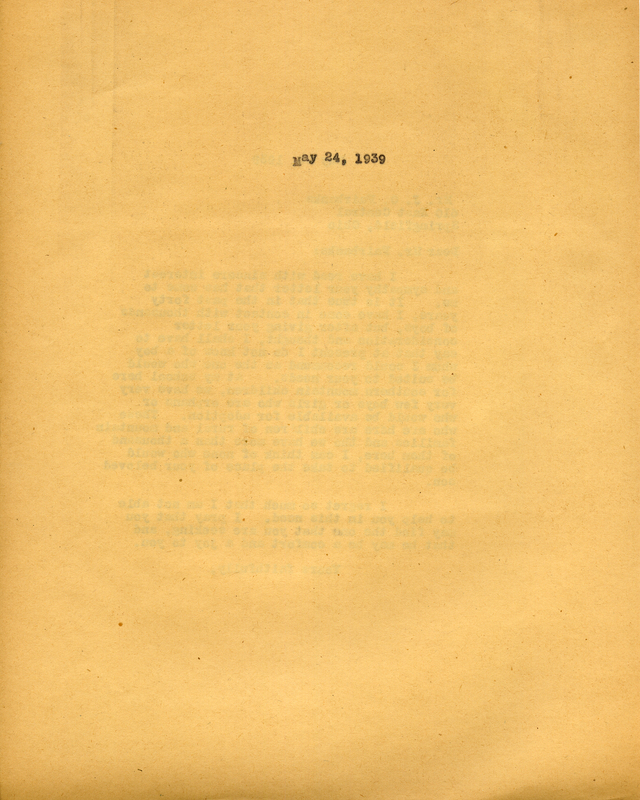 Mount Berry: Berry College, 2016. accessed April 22, 2019, https://mbda.berry.edu/items/show/14770.